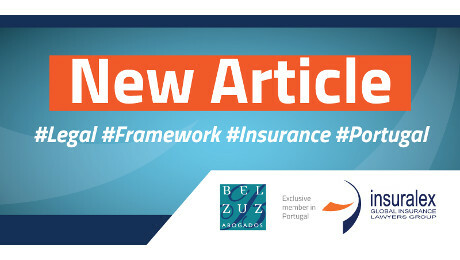 The new legal framework for insurance and reinsurance distribution in Portugal. The conditions for access and exercise of the insurance and reinsurance distribution activity are regulated by a new legal regime, approved by Law 7/2019 of 16 January, which transposes into the Portuguese law the Insurance Distribution Directive – Directive (EU) 2016/97 (IDD). Although the said Law has introduced significant changes to the previous regime, the essence of the preceding legal framework is preserved, namely its structure and the underlying principles. The new law seeks to ensure regulatory stability in all matters and provisions that are not based in the European Union regime. This month, the Insurance Law Department of Belzuz Abogados S.L.P. – Sucursal em Portugal addresses the new legal framework of insurance and reinsurance distribution, approved by Law 7/2019, of 16 January. Law 7/2019 transposes into the Portuguese jurisdiction Directive (EU) 2016/97 of the European Parliament and of the Council, dated 20 January 2016, on the insurance distribution (Insurance Distribution Directive or IDD). The IDD’s major purpose is the harmonisation of national provisions for each Member State concerning insurance and reinsurance distribution. Law 7/2019 regulates the conditions for access and exercise of the insurance and reinsurance distribution activity elsewhere in the European Union by individuals, or companies with registered offices in Portugal, as well as the conduct of insurance and reinsurance distribution business in Portuguese territory by insurance or reinsurance distributors registered in other Member States of the European Union. The activities to which the new regime is applicable are mostly the same as the ones regulated in the previous legal regime governing insurance and reinsurance intermediaries. Notwithstanding the above, the law now regulates those activities when carried out directly by insurance or reinsurance companies in order to ensure the same level of protection for the policyholder, regardless of the distribution channel. There is not however full extension of the scope of application as, for instance, it is not applicable to insurance or reinsurance companies the registry regime and the cross border activities regime, which will still be regulated by the insurance and reinsurance legal framework. On the other hand, the internet websites that compare the contractual conditions or insurance policy are now expressly subject to the insurance distribution regime. The category of tied insurance intermediary disappears, as it largely coincides with the ancillary insurance intermediary category, determined in the new law. The modification of the categories of insurance distributors is executed without prejudice to the acquired rights of tied insurance intermediaries that were registered up to the date of effect of the new law. Actually, entities that were registered in the category of tied insurance intermediary are automatically registered as insurance agent or ancillary insurance intermediary. Credit institutions and investment companies registered as tied insurance intermediaries are, as of the date of effect of Law 7/2019, automatically registered as insurance agents. Insurance and reinsurance distributors as well as employees of insurance and reinsurance companies carrying out direct insurance distribution must possess appropriate knowledge and ability in order to complete their tasks and perform their duties adequately. For example, they are obliged to comply with the requirement of appropriate qualification for the characteristics of the distribution activity that they want to pursue, reputation and incompatibilities. Further, insurance agents, insurance brokers and ancillary insurance intermediaries will be obliged to comply with the technical, commercial, administrative and accounting formalities, and use the financial and economic structure, fitted to the size and nature of its activity, as decided by the Portuguese Insurance and Pension Funds Supervisory Authority (hereinafter “ASF”). Insurance distributors must now ensure that the members of their corporate bodies responsible for the activity of distribution, as well as the persons directly involved in the activity of insurance distribution, maintain an adequate level of performance by fulfilling the obligations of continuing professional training and development. The fulfilment of the obligations regarding continuing professional training and development determines that the distributors must undertake vocational training that complies with the legal requirements indicated even if these have to be regulated by ASF. One of the main changes introduced by the new law are the information obligations, in particular the new rules regarding the elaboration and presentation of a standardised insurance product information document about the non-life insurance products. The main concern regarding this matter relates to the prevention of conflicts of interest of the insurance distributor, in particular the matters related to his remuneration. The law aims to ensure that insurance distributors are not paid, nor do they pay or evaluate their employees’ performance, in a way that conflicts with their duty to act in the best interest of their clients, in relation to the recommendation of a specific insurance product. In this regard, the new legal framework now expressly provides an information obligation on the part of the insurance distributor to the client about the remuneration, whether or not the Client expressly asks. Regarding the rules of conduct applicable to this activity we must underline the existence of a specific chapter about insurance-based investment products, which establishes preconditions for the selling of the products, including assessing the suitability and appropriateness of the insurance product, as well as the additional requirements about the matters of the conflict of interests and remuneration. When an insurance product is offered together with an ancillary product or service which is not insurance, the insurance distributor must inform the customer whether it is possible to buy the different components separately and of the different conditions applicable in the case of separate purchase. This rule does not prevent the distribution of multi-risk insurance policies. The new legal regime reinforces the principle that the insurance distributor has a special duty of assessment of the suitability of the product to the insured. The level of demand, common to all insurance distribution, obliges the insurance distributor to transmit to the customer objective information regarding the insurance products, allowing him to make an informed decision. In addition, the insurance distributor must provide to the customer a personalised recommendation, explaining why a particular product best meets the customer’s insurance demands and needs. Also the supervision and governance requirements for the insurance products are emphasised. The main purpose of setting up those requirements is to guarantee that throughout the process of conception and contractualization of insurances the suitability of the insurance conditions regarding the characteristics, needs and profile of the policyholder or of the insured is verified. Article 153 of the legal regime for access and exercise of the insurance and reinsurance activity is reviewed to give more detail on what should be the policies of product design. On the other hand, it clarifies the non-application of the requirements of supervision and governance of insurance products to the coverage of large exposures. Investments that include insurance contracts are frequently made available to consumers as an alternative to or substitutes for financial instruments; therefore the new legal regime approximates the rules of commercialization of insurance products to the rules of commercialization of financial instruments. Additional requirements were created for the distribution of those investment products, including those regarding to conflict of interests, information duties, remuneration and assessment of the suitability and appropriateness of the insurance product. Another change implemented by the new insurance distribution law concerns the protection of the consumer through the publicity of insurance products distribution. Under the new regime, and regardless of the means chosen, the presentation and publicity of the information must be in a form that is fair, clear, not misleading and clearly identifiable. Although the new regime does not include structural changes in the registration process for access to the activity of insurance distribution, this law enacts new rules for the exercise of cross-border activities, and gives more powers of intervention to the competent authority of the host Member State. Law 7/2019 provides some transitional regimes. The following entities have until 23 February 2019 to adjust to the requirements of appropriate qualification regarding the distribution of insurance and reinsurance activity: (a) registered insurance or reinsurance intermediaries (natural persons); (b) registered members of corporate bodies of insurance or reinsurance intermediaries that are responsible for the activity of insurance intermediation and (c) natural persons directly working in an insurance or reinsurance undertaking. Insurance companies also have until 23 February 2019 to ensure that the members of the board of administration (responsible for the insurance distribution activity) and their employees directly working in an insurance or reinsurance undertaking have appropriate qualification for carrying out such activity. the general rules that the insurance intermediaries and the ancillary insurance intermediaries must comply with in respect of defining a treatment policy for the policyholders, insured persons, beneficiaries and injured third parties. the general rules that the insurance distributors must respect regarding the insurance products distribution policies. The new law introduces modifications to the legal framework governing access to and exercise of insurance and reinsurance activity, as well as to the procedural rules regarding the specific crimes for the insurance activity and pension funds, as well as the administrative offences decided by ASF. Law 7/2019 contains a rule which confers retroactive effectiveness to the application of the new legal framework, establishing that it took effect on 1 October 2018. The new legal framework of the activity of insurance and reinsurance distribution presupposes a proper analysis by all agents and, therefore, the Insurance Department of Belzuz Abogados S.L.P. – Sucursal em Portugal will continue to review the developments in this matter and, shortly, will provide detailed information regarding the new legal regime. Director of Belzuz Abogados – Sucursal em Portugal (Oporto). He joined the firm in 2016. Law Degree by Universidad Católica Portuguesa (2007). Postgraduate in Labour and Social Security Law by Universidad Católica Portuguesa (2009). Postgraduate in Contract and Enterprise Law, Universidad do Minho (2011-2012). Admitted to the Bar Association in 2009. He has wide experience in the procedural aspects of civil law, insurance, motor liability, banking and labour law. Specialised in: Procedural Law, Banking, Insurance and Labour Law. Portuguese –– English –– Spanish. Director of the Procedural and Arbitration Department of Belzuz Abogados – Sucursal em Portugal. She joined the firm in 2006. Law Degree and Master in European Law by Universidad de Lisboa (1985). Course executive procedure, Bar Association. Course commercial arbitration, Chamber of Commerce and Industry Portugal- Spain. She has wide experience in representing insurance companies and enterprises in judicial proceedings as well as in arbitration (including claims related to construction). Admitted to the Bar Association in 1990. Specialised in: Procedural Law and Insurance. Insuralex is not a law firm, does not practice law and does not provide legal advice or legal opinions. Insuralex members are not a partnership of law firms or lawyers and are not affiliated or in a relationship for the joint practice of law. Insuralex member firms are strictly independent firms.